Straps are totally underrated. They're truly one of the most important parts of any playing experience. If your strap is uncomfortable, you're going to get a nasty rash and be miserable every time you pick up your guitar or bass to play. If your strap is cheaply made and breaks, your instrument could take severe damage. You just have to have a great strap – no exceptions. While you're at it, why not pick a stylish strap that vibes with your personality? We're specific about our instruments' finishes, let's be specific about our strap styles, too. We wanted to make the choosing process easier for everyone, so we jotted down a list of the best straps and what makes them such great choices. If handmade in the USA using sustainable materials sounds appealing to you, check out Souldier’s line of guitar straps. Their original line of straps are made using recycled seat belt material with either genuine leather or vinyl ends – your choice. They also have a vintage line that uses designs and materials inspired by what was used in the ‘60s and ‘70s. If seat belt material isn’t your thing, they also make genuine leather saddle straps and pads. These straps also come in a variety of styles and are one inch wide with a 2.5 inch wide pad for increased comfort. The Mono Betty Strap is designed with heavier instruments in mind, as its wide wale design optimizes it to evenly distribute the weight of heavier instruments. The underside of the strap is made of breathable Neoprene and the memory foam core keeps you comfortable during longer wear sessions. This strap is also cool because it features a pick pocket, allowing you the ability to quickly grab a replacement pick if you happen to drop one. 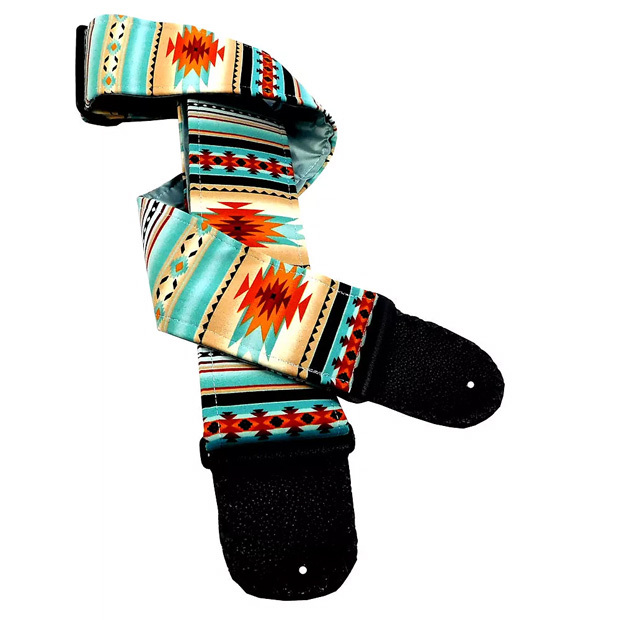 Original Fuzz has a line of Peruvian guitar straps and a line of Indian guitar straps. For each line, they responsibly source material native to those countries and design each strap in the line with patterns that are representative of where they were made. This guarantees that every strap made is as individual and unique as the place from which it came. 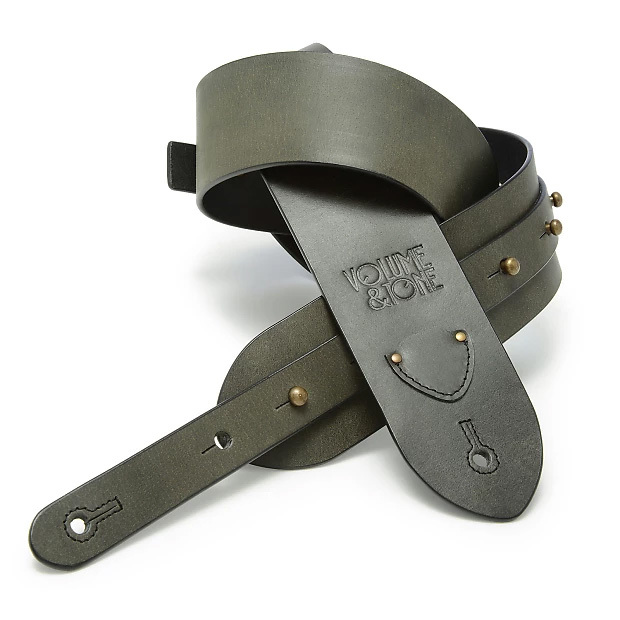 These straps are made to last a lifetime, constructed using genuine thick, tooling leather. They’re also decorated with original art in varying styles, so there’s a pick out there for everyone. The thickness of the leather means that they’ll initially be stiff but are guaranteed to break-in nicely after a few wears. Check these out if you’re looking for an individual, high-quality, and long-lasting strap option. For the budget-friendly option, check out our limited edition Reverb guitar strap, make in partnership with our friends at Souldier here in Chicago. The straps are two inches wide and fully adjustable from 33 to 60 inches. They’re made in the USA from recycled seat belt material with genuine leather ends for extra durability. At only $15, these straps are a steal. Based out of and made in New York City, Volume & Tone Guitar Straps and Leather Goods is a small business run by husband and wife duo George and Elana Tabb. Their straps are made out of thick, high-quality saddle leather finished with brass hardware, come in a variety of colors, and are sized for any player – small through extra large. Coolstraps Custom Handmade Guitar Straps out of Lutz, Florida is another company producing great straps. All of their straps are entirely handmade from a variety of high-quality materials. They come in all kinds of visually alluring colors and original patterns, so anyone can find something they're willing to wear. And not only are they comfortable, but they can be used by even the tallest of players as they're adjustable up to 70 inches. LeatherGraft is an international company based in London, UK. 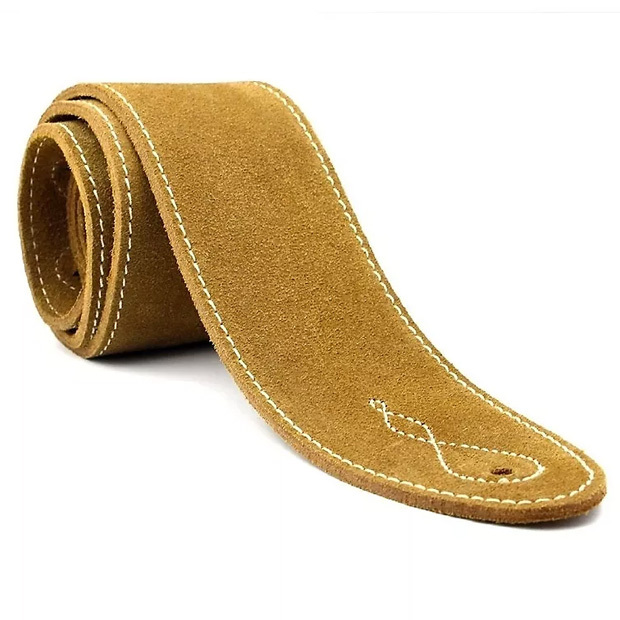 They've been making leather music accessories since 1970 and are committed to providing their customers with a variety of different strap designs that are not only made with high-quality material, but are affordable as well. Regardless of where you live in the world, this is a company worth checking out.